For divorcing couples, litigation and custody of the children represent a great source of dread. To survive an unpleasant courtroom custody battle, it's important to start working together early on in negotiating issues related to the children of divorce. Although most parents want to avoid courtroom litigation, there are occasions when it's the only way to resolve custody disputes. One of the greatest ways divorcing parents can protect their children is to educate themselves about the upcoming proceedings. Delve into the laws and trends that pertain to your geographical area while also honestly examining issues unique to your family. Additionally, take some time to learn from legal professionals and other divorced couples about what to expect throughout the divorce. The sections below can help you prepare yourself and your family if litigation becomes necessary. Everyone understands that there are many legal preparations to make as a custody battle approaches. 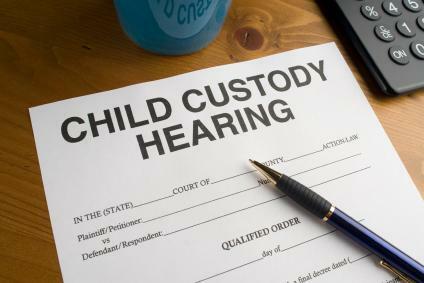 A good lawyer will guide you through these preparations and help you file the appropriate custody papers, but there are also things you can do on a personal level to assist with litigation. As you perform these daily activities, document every step in order to prove to the judge that you are involved in your children's lives, that you are capable of nurturing them and providing for their daily needs. Family Activities: Plan and document frequent family-centered events for your children to show the judge your commitment to a moral and close-knit way of life. Quality Time: In addition to regular activities, take your children on special outings to demonstrate the quality time you spend with the kids. Any photos and memorabilia you collect on your outings can serve as documentation. School Functions: To show you care about your child's schooling, make a point to attend all school functions, such as plays or assemblies, as well as parent-teacher meetings. Interact with teachers regularly and keep detailed notes about your children's progress. Medical Care: Be sure to schedule regular appointments for your child's dental and medical care that might be necessary to prove to the court that you're a nurturing type of parent. If necessary, speak to the doctor or hospital staff about testifying in court that you were the one who acquired medical care for your child. Witnesses: Live your life as closely to normal as possible while awaiting your day in court. Recruit your friends or neighbors to document or testify in court that you provided a safe and loving home for the children. Other good witnesses include doctors, teachers, relatives and child care providers. For as long as the litigation lasts, you and your activities will be under a microscope of sorts. Your spouse and a zealous attorney can twist even the most innocent act into something harmful for use against you in a court of law. The best way to circumvent this is by comporting yourself with dignity and grace under eyewitness view while avoiding the common traps outlined here. Seek Counsel: Even if you have a clean record of care to present and feel you are untouchable, it's always a good idea to seek an evaluation with counsel. Avoid Angry Interactions: No matter what your spouse has done, it's crucial to practice self-control. Don't engage in physical or verbal interactions that may give a judge reason to believe you have control or anger issues. Avoid Illicit Conduct: You're probably already doing this, but it's important to make a concentrated effort to stay far away from alcohol, drugs and violent situations that could sully your good name. Stay Honest: Don't succumb to the allure of making false claims against your spouse. When the judge uncovers the truth, you and the children will be the ones who suffer. Don't Make Threats: Whether you are the petitoner or the respondent, let the court system work for you instead of taking matters into your own hands. Threats of violence or restricting access to the child will only make you look bad. When both parents put aside their personal feelings about one another and focus on the welfare of the children, even a courtroom custody battle can yield positive results. If possible, work with your spouse to ensure matters of custody proceed more smoothly with the promise of a good outcome for everyone involved.